Are you searching for an eco-friendly roll label? Our Eggshell label contains 30% recycled materials making them an environmentally friendly option. 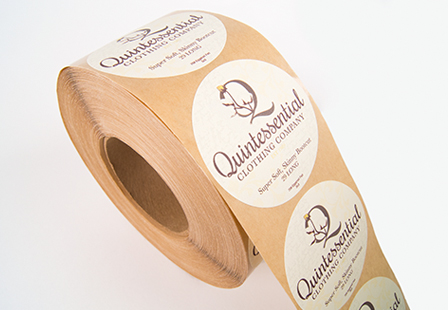 They offer an elegant and distinctive texture, unlike any other roll labels. Also referred to as Eggshell stickers, they are perfect as refrigerated product labels as manufactured with wet strength properties which increase performance in moist environments. Permanent adhesive makes them stick to an array of surfaces. Choose from a variety of sizes, sides, lamination to meet your business or personal needs.